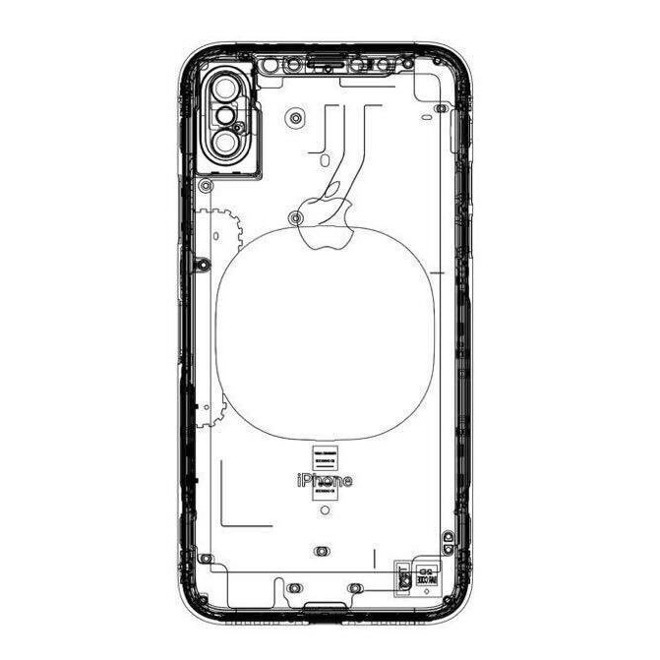 New purported schematics for Apple's "iPhone 8" show the rear of the device, possibly backing up claims that the product will switch to vertically-aligned lenses —albeit without a Touch ID sensor. The schematics stem from an unknown source, but were shared on Twitter by Steve Hemmerstoffer, well known for the accuracy of his own leaks. If genuine they would presumably come from one of Apple's assembly partners like Foxconn, or a parts manufacturer such as Catcher. The leak contrasts with a document that emerged last week, featuring a cutout on the back seemingly shaped for a Touch ID sensor. In its place is a large pad, presumably for some implementation of wireless charging technology. Rear-mounted Touch ID is generally considered unlikely, but at the same time, the company has supposedly had trouble integrating a sensor into the phone's edge-to-edge, 5.8-inch OLED display, which should swap a physical home button for a virtual one. Apple could be forced to delay the product's launch, if it doesn't scrap embedded Touch ID entirely. Multiple reports have backed the idea of Apple shifting to a vertical camera setup. While there might be some other technical advantages, at the least the arrangement might be better for shooting in landscape mode like a traditional camera. The "iPhone 8" is expected to ship later this year, with some other features including a faster "A11" processor and wireless charging.